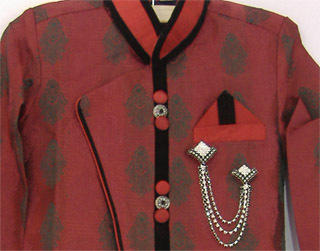 Meenal's Indian Fashions carries Men's and boys' formal wear such as Kurta Suit, Sherwani Suit and Dhoti suit suitable for formal occasions such as reception parties and weddings. 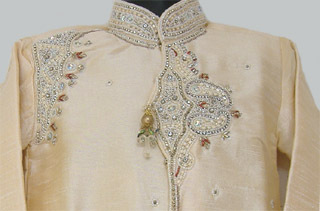 Broacade slik sherwani and western style pants. 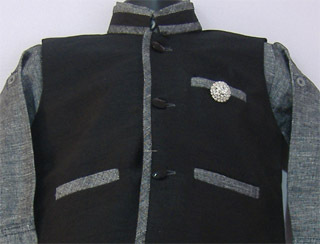 Latest design Nehru jacket style balloon pant Suit. 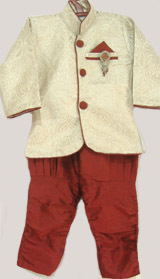 Broacade slik sherwani and baloon churidar style pants. 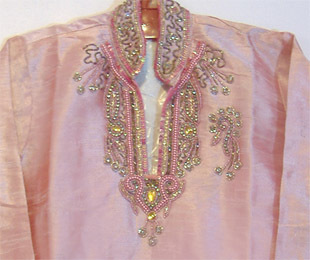 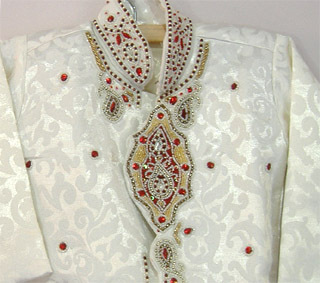 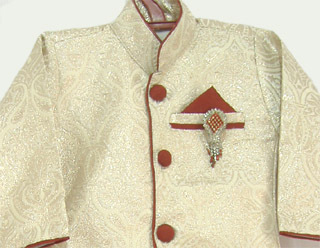 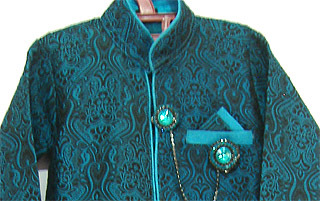 Sherwani suit in brocade silk and pajama (elastic waist). 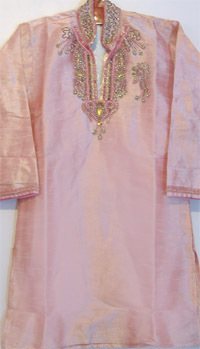 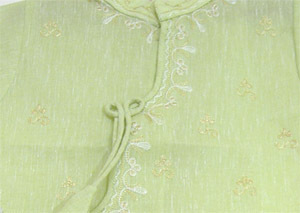 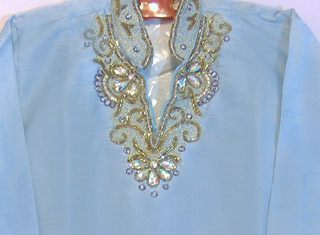 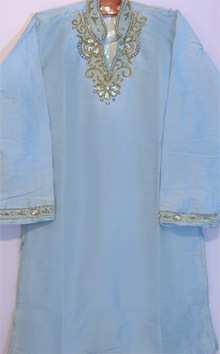 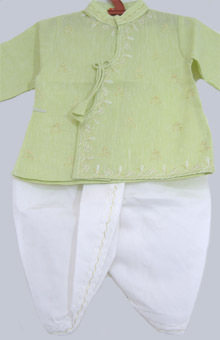 Raw silk kurta with stone and thread embroidery and matching churidar pants (drawstring). 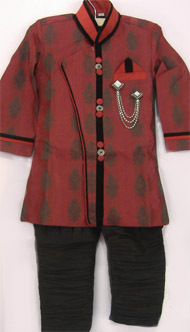 Brocade silk kurta with bead embroidery and silk dhoti and churidar pants (elastic waist).